Alexis S. Troubetzkoy, 82, Chairman of the Orthodox Church in America’s Archives Advisory Committee, peacefully fell asleep in the Lord in Toronto, ON, Canada on Sunday, January 22, 2017 after a brief illness. Mr. Troubetzkoy had been unanimously elected Chairman of the Archives Advisory Committee during its first meeting in December 2013. Under his leadership, the committee has begun to assess the housing, preservation and access needs of the OCA Archives and to develop strategic solutions. In February 2015, he addressed the Metropolitan Council, with an update on the Committee’s work and appealed for guidance from the Council and the Holy Synod with regard to the future housing of the OCA Archives. Despite health issues, Mr. Troubetzkoy chaired and actively participated in the Committee’s most recent meeting in late November 2016. 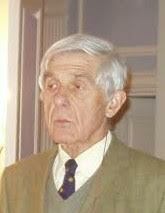 Born Prince Alexis Sergeevich Troubetzkoy in Clamart, France on March 6, 1934, he descended from one of the most important noble families in Imperial Russia. He was raised in the United States and Canada, where he completed his education at Sir George Williams (now known as Concordia) University and Bishop’s University. After serving as an officer in the Royal Canadian Navy, Mr. Troubetzkoy embarked on a 30-year career in education as teacher and administrator, most notably as headmaster of three prestigious private schools in Montreal and Toronto. From 1992 to 1995, he was the Executive Director of the Tolstoy Foundation in New York. Subsequently, he was employed as the International Orthodox Christian Charities’ [IOCC] Representative in Russia from 1995 to 1998, when his efforts were crucial in gaining freedom for two IOCC workers who had been captured and held hostage in Chechnya for several months. He continued to work as IOCC’s International Liaison Officer for many years afterwards. He also served as Treasurer of the Local Organizing Committee for the 14th All-American Council, which took place in Toronto in 2005. Mr. Troubetzkoy was a prolific author who wrote six books, primarily on Russian history. His most recent book, Razumoff’s Story, was published in 2016 as a memoir in the form of a novel. His previous books covered such wide-ranging topics as the history of Russian-American relations from 1776 to 1917, the mysterious disappearance of Tsar Alexander I, and exploration of the Far North and the Crimean War. His father, the late Serge G. Troubetzkoy, served as OCA Archivist for many years, while his sister, the late Mary (Masha) Troubetzkoy, served as a secretary and archival assistant at the OCA Chancery. He is survived by his wife, Helene [de Klebnikoff]; his sister, Elizabeth Saika-Voivod of London, ON; children Andre of Toronto and Anna Jankovich of Budapest, Hungary; and several grandchildren. May Alexis’ memory be eternal!